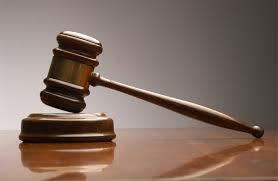 A PLUMTREE woman has been fined $100 for violating a protection order prohibiting her from harassing her lover’s wife. Nomalanga Sithole recently breached the protection order that was granted in February after she assaulted Ms Ruvarashe Shava. Plumtree magistrate Mr Joshua Mawere ordered Sithole to pay the $100 fine by the end of the month or she will spend one month in prison in case of default. Ms Shava told the court that Sithole who is having an affair with her husband, Mr Jerry Gutu, beat her up last month. “Sithole is a violent woman, she used to come to my house and would insult me and assault me up until I applied for a peace order which was granted on February 20. On July 11, she breached the peace order as she assaulted me. “She found me with my husband Mr Jerry Gutu at Golden Harmony Supermarket in Plumtree and she followed us to our car. She started insulting me saying she was pregnant with my husband’s child. She further slapped and punched me several times and I was forced to fight back to defend myself,” she said. In response Sithole denied having breached the peace order as she told the court that Ms Shava attacked her first. She said she did not insult or confront Ms Shava but instead her lover’s wife punched her several times. She said she was forced to retaliate to defend herself. Sithole said she and Mr Gutu were still having an affair. Mr Gutu who testified in court, however, said he ended the affair with Sithole a month back. He denied calling her. He said he had last spoken to Sithole three days before the incident. Mr Gutu said Sithole attacked his wife first. In February Ms Shava told the court that Sithole was constantly texting her ordering her to move out of her matrimonial home to create space for her. She said Sithole would constantly tell her that she was in love with Mr Gutu and she was going to displace her at her matrimonial home. stones. Sithole was warned against insulting, assaulting or intimidating Ms Shava.